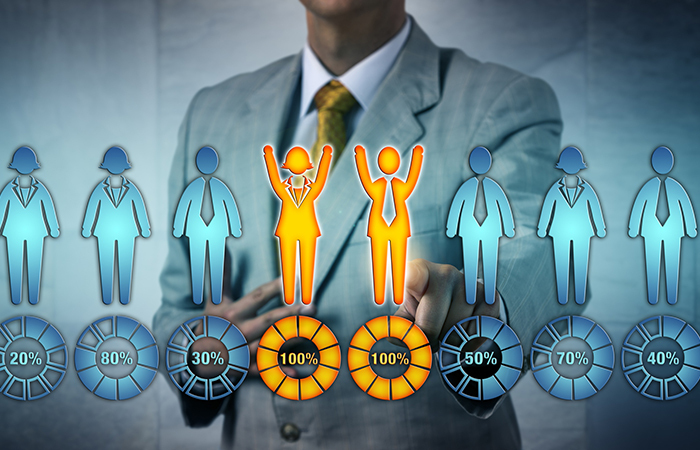 In the current federal climate of downsizing and budget cuts, choosing the right person for the job is especially critical, but most agencies are using assessment tools that are failing to provide a pool of quality candidates, according to a recent “perspectives brief” by the Merit Systems Protection Board. To improve assessments, agencies must change their mindset about hiring—focusing less on process and more on outcomes—and get leadership buy-in to invest in assessments, which is the “leading stumbling block” to change, Laura Shugrue, an MSPB senior research analyst told cyberFEDS®. The goal is not to just hire someone quickly, “it’s to hire someone who is most likely to succeed at performing the job,” she said. Automating the hiring process “left agencies with a significantly higher number of applicants — many of whom are not qualified or even really interested in the job but applied because it was easy.” That problem was compounded by the use of inexpensive assessments like occupational questionnaires, which make differentiating candidates with the highest-quality skills difficult because most applicants rate themselves at the top skill level to move forward in the process, she added. Agency leadership must also make hiring an organizational priority, devote the necessary resources, and recognize that hiring is not solely an HR function, she noted. Shugrue also suggested that HR should identify managers interested in improving the quality of the candidate pool and identifying better assessments. “After working through a pilot project or two, the managers can talk about their success stories, serving as an example to other managers.” These managers can also become champions and help sell the importance of proper assessments to leadership. Agencies can begin “small” by working with a contractor, the Office of Personnel Management, and other agency experts to develop a plan for one occupation. The plan should go beyond how to better assess applicants and look at how to improve recruitment, bottlenecks that affect timeliness, and consistent communication with top applicants so they aren’t lost during the process, she explained. 3. Comprehensive evaluation. Agencies should use multiple assessments successively to narrow the field of qualified candidates. “Methods that are less costly to administer or that can easily handle a large volume of applications should be used toward the beginning of the process while more resource-intensive assessments should be saved for the applicants deemed to be qualified.” Agency assessments also should evaluate the necessary knowledge, skills, and abilities comprehensively, including, employment history, occupationally tailored technical skills, and general competencies that cut across different occupations. 5. Mode of delivery and testing environment. Agencies should determine which mode of delivery—such as computer-based, pen and paper, or interactive—best meets their needs. Although computer-based assessments have many advantages, they also may take more resources to develop. Agencies also should consider whether to conduct proctored versus unproctored assessments or a combination. Anjali Patel is the legal editor for cyberFEDS®Washington bureau.